This Blog is written by me, Chris Wildman and gives an overview of my foodie adventures in and around The Yorkshire Dales, Leeds, London and sometimes further afield. You can find information about places to eat, drink, beer reviews, restaurant reviews and details of the great food available from producers, farmers and food artisans. Sometimes with photo’s, recipes or links to things I like or have found on my travels. Chris Wildman is Owner Manager of Town End Farm Shop & Wildman British Charcuterie & Salumi Artisan Butcher & Charcutier based at Church End Farm near Malham in the Yorkshire Dales. 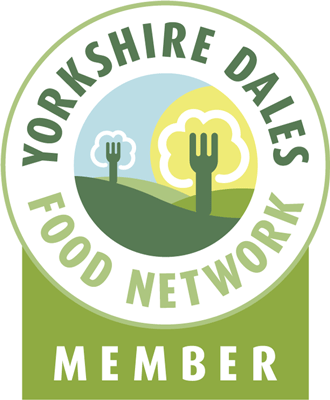 He produces, markets and supplies quality produce from the Yorkshire Dales including Charcuterie, traditional cured meats along with outdoor reared, grass fed Beef, Pork and Lamb from Yorkshire and the Dales also the home of The Yorkshire Chorizo www.yorkshirechorizo.co.uk. We do not accept payment or advertising on this blog but sometimes free gifts or trial products do creep in and we may link to books, products or services! We always try to be honest and open about any affiliation, sponsorship, gifts or foodie bribes and like to give credit for any help or assistance where credit is due. Some of the book links include our Amazon affiliate code and we will receive a small commission if you buy using these links. For more information on where we are based here in Malhamdale in the Yorkshire Dales please take a look at www.malhamdale.com. Delightfull blog; very complete, great details; makes me hungry reading the articles. Living here in Japan, I’m filled with nostalgia. (I am able to find Hamlyn’s Scottish Porridge Oats and Bran from a supplier in Tokyo, which is a must for me. Does wonders for the cholesterol!) Reading your turkey recipes, I can almost smell the results. Wonderful. I am an Assistant Producer at ITV Productions and we are currently searching for potential contestants for Britain’s Best Dish. In case you haven’t seen the show before Britain’s Best Dish is an annual competition hosted by ITV for amateur cooks. In it we look for Britain’s best starter, main course and dessert. The winner of the competition receives the accolade of Britain’s Best Dish and takes home a £10,000 cash prize. We’re starting another series in the coming weeks and will be holding our regional auditions in May. As you are clearly a keen foodie you are just the sort of person we are looking for so if you are at all interested in taking part or know anyone who may be interested and haven’t already featured in the Best Dish studio finals, please email ASAP with your name, contact number, and where you’re from to bestdish@itv.com and we’ll be in touch soon. I love the Dales, especially Swaledale, and Wensleydale cheese is my favorite cheese (and it is so difficult to find in California!) I’m delighted to find your blog, and I look forward to following your adventures.